The UK's controversial DNA database and ID cards register are in breach of European data protection and rights laws, according to a new report by the Rowntree Trust published this week. The report slams Britain's 'database state', claiming that 11 of the 46 biggest public-sector database projects are illegal and should be immediately cancelled or fundamentally reworked to bring them in line with European privacy laws. In addition to the DNA database and ID cards register, the report calls for the canning of the notorious ContactPoint index of all children in England. 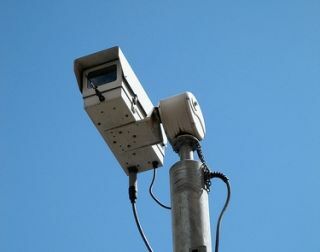 The Guardian reports that: "Only six of the 46 systems, including those for fingerprinting and TV licensing, get a 'green light' for being effective, proportionate, necessary and established - with a legal basis to guarantee against privacy intrusions. But even some of these databases have operational problems." 29 of the databases in the report get an 'amber light', which means they have significant problems and need to be immediately rehauled to be brought in line with European laws – including the NHS summary care record, the national childhood obesity database, the national pupil database and the automatic number-plate recognition system. The study was carried out by the Foundation for Information Policy Research and claims that single mothers, ethnic minorities and young children are particularly at risk due to the UK government's failing databases. Ross Anderson, Professor of Security Engineering at Cambridge, told The Guardian: "Britain's database state has become a financial, ethical and administrative disaster, which is penalising some of the most vulnerable [in] society. It also wastes billions of pounds a year and often damages service delivery rather than improving it. "There must be urgent and radical change in the public-sector database culture so that the state remains our servant, not our master... we have to develop systems that put people first." The report adds that the genetic fingerprints of nearly four-in-10 black men aged under the age of 35 are currently held on the DNA database in England, with this information not being deleted, despite suspects subsequently being acquitted or released without charge. Children, in particular, have never before been "so measured, graded, monitored and discussed" and this can not be "justified on the basis of good intentions" says the report's co-author Terri Dowty, of Action on Rights for Children. Another of the report's authors, Ian Brown of the Oxford Internet Institute, added that; "The UK needs information systems that support citizens and professionals on a human scale, rather than multi-billion pound centralised databases used to stigmatise and snoop." In response, a Ministry of Justice spokesman told BBC News that the government "takes its responsibilities seriously and will consider any concerns carefully, adapting existing safeguards where necessary." In response, Liberal Democrat Home Affairs Spokesman Chris Huhne said: "In their desperation to track our every move, ministers have created a glut of databases, many of which are quite simply illegal."